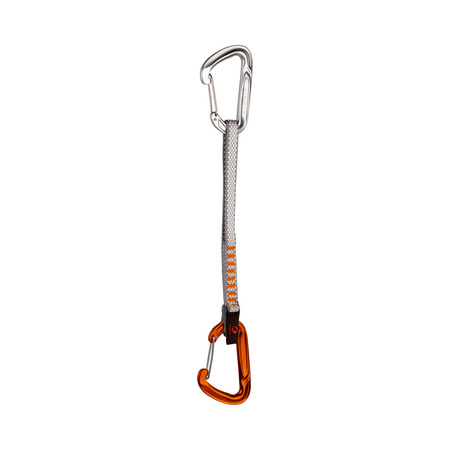 A must for alpine, ice, trad and multi-pitch climbers: The single-strand Alpine Trad Sling offers faster and therefore safer handling in comparison to traditional slings. 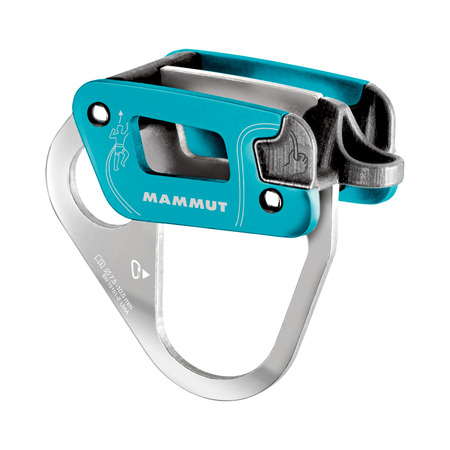 You wear the Alpine Trad Sling across your chest like a normal round sling, but instead of pulling the sling over your head and arm, just unclip the carabiner and pull the sling from your body. 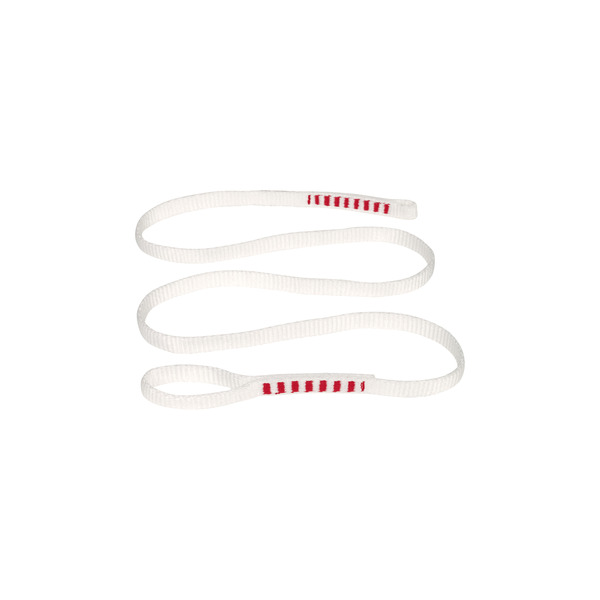 The Alpine Trad Sling uses the same quantity of material as a round sling, but rather than being stitched into a closed ring, the single-strand construction has a stitched loop at each end to attach a carabiner. Intermediate belays can be quickly and easily shortened from 120 to 60 or 30 cm. 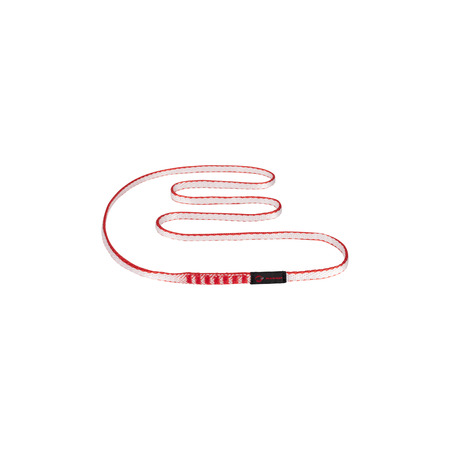 The single strand construction reduces the risk of accidental unclipping. 100 % ultra lightweight dyneema material with the following advantages vs normal nylon: higher strength to weight ratio, absorbs less water and is more abrasion resistant. 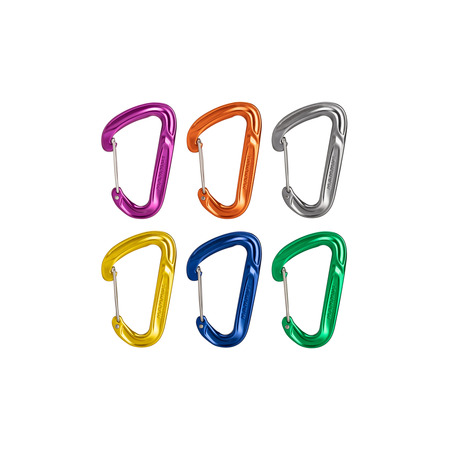 Weight 64 g (31 g sling & 33 g for the carabiner). 11 % weight saving compared to our lightest round sling 120 cm Contact Sling 8.0. The 120 cm length is including the Wall Key Lock bent gate carabiner.